Just because winter comes, doesn’t mean you have to empty your planters out. If they are constructed of a sturdy winter hardy material then why not leave them out and decorate. 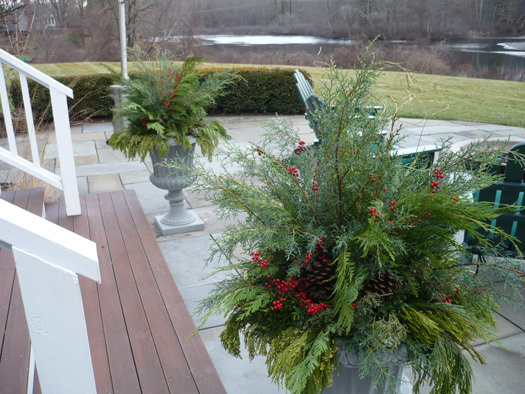 Use green boughs of pine, cedar, juniper, boxwood and cypress to create a textural dance of foliage. Add berries, cones, and beautiful colored twigs to add even more to the look.